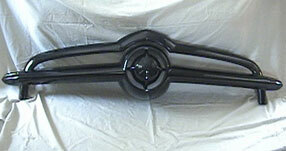 EasyRods sells a number of items to expand and enhance our basic fiberglass kits. The items listed below may be ordered here online or you may contact one of our sales staff at 609-693-1631. Any items ordered with an EasyRods Kit ship FREE! 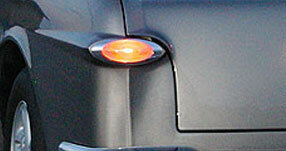 LED tail light upgrade kit contains LED lights that are much brighter than standard incandescent lights. The '49-'51 Ford Kit looks even better when built with a recessed license plate in the trunk lid. 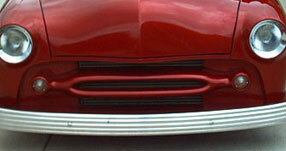 You can achieve a real hot rod look with our fiberglass Frenched Headlight Rings. 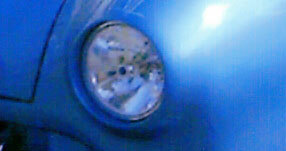 The pair replaces the original headlight rings and MUST be blended into the fenders with fiberglass / filler. 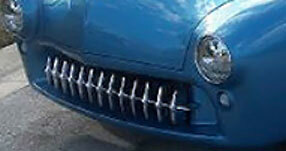 This grill is an exact replica of the original 1950 Ford Grille. Comes complete with parking lights. Please call for information. SMILE...when you order this vintage look Chrome "Smile" bumper. This will fit front or rear. Grille not included. 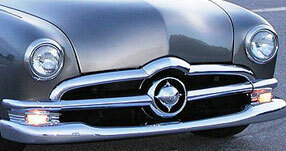 Achieve a true "hot rod" look with a high quality '53-'57 Corvette grille. 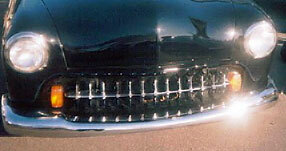 This grille is an exact replica of the original 1949 Ford Grille. 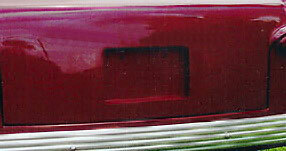 This fiberglass grille can be painted or chromed. 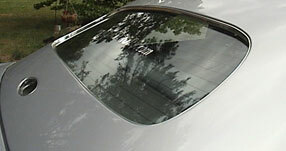 Includes cups on each side for parking lights or chrome bullets. 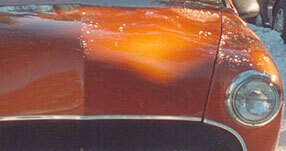 The EasyRods "Chop Top" covers the rear Thunderbird window and raises the window sills 4" for a chopped top effect. No Mercury grille treatment would be complete without the Mercury grille surround. May require additional work. Grille not included.